Jobs or Productivity the Answer for the Ailing U.S Economy? Since the start of the great recession back in 2007 the U.S economy experienced the biggest job loss since the great depression of the 1930’s.The massive number and volume of the type of jobs that have been slashed by companies caused a big damage to the world economy. Despite the fact that the recession has ended in 2009 – according to economists- the U.S economy is still growing at a very slow speed and the economic shocks of the great recession are still live and well in people’s lives. Why the economy hasn’t recovered three years after the the recession has officially ended?. Economists debate the answer to this question with several views that come from the federal reserve to other distinguished economists and money managers. The majority of economists surveyed agreed that sustained jobs growth is the key for any sustained recovery and that bring us to the important question of why the U.S economy hasn’t produced enough job growth to recover from the massive job loss of the great recession? There are three answers to this question and the first one is the housing sector hasn’t fully recovered to produce monthly jobs growth comparable to the healthcare sector. The second answer is that the uncertainty of the economic outlooks in the U.S and abroad makes it harder for companies to hire new full time employees who they may have to lay off later if the demand for their products doesn’t increase. The last answer is the vast increase of productivity of the American workers. How increased productivity can be a job killer? The answer is clear and common if we ask many employees who experience the changing working environment of the high unemployment age. Many U.S workers believe that their work loads have increased three or four times more than they had before the recession. Many employees also reporting that they have to accept lower pay to keep their jobs which explain the big decline in the U.S average income since the start of the great recession. 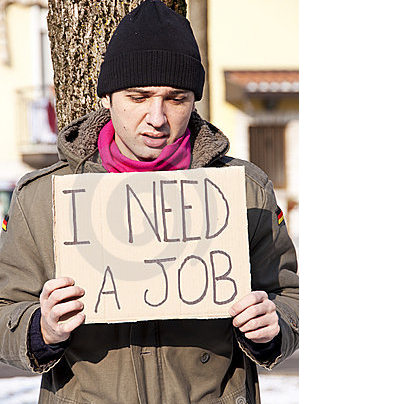 Many employees reporting abuse from their employers who are taking advantage of the current high unemployment rate knowing that their employees have little to no options of finding other employment. Less protection for U.S workers is increasing especially with many more states joining the right to Work labor laws. Economics is a very complicated discipline to understand and comprehend and there is no quick fix to economic problems . However it is important for policy makers to test all the available options to increase economic growth and eventually decrease the high unemployment. The economy is a cycle that all sectors contribute and affect each other, however the government has to balance each sector to avoid economic shocks and maintain a healthy economy. High productivity increases the U.S competitive edge over other countries, However when companies overkill the productivity concept and abuse their workers to full fill their unlimited greed and kill jobs, productivity become a disadvantage. Consumers present close to 70% of the total U.S economic output, therefore increase consumers spending is the the key for sustained growth. It is a fact that consumers can’t spend if they can’t find good paying jobs that boost their purchasing power which at the end will increase the demand for products that are produced by those employers and companies.